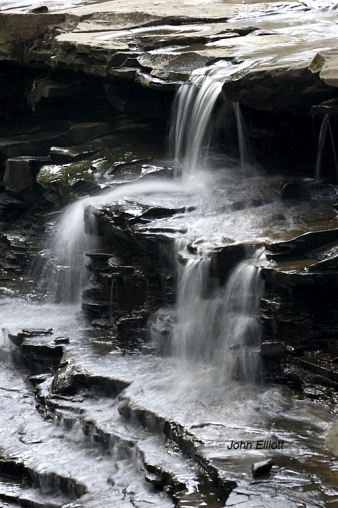 A stream flows through Christman Nature Sanctuary, Duanesburg, NY, and provides a myriad of small and medium waterfalls. About two feet tall, this little fall is filled with energy and sparkle. The plates of rock are an intriguing base to receive the falling water.